A recent trip to Knott’s Berry Farm featured a wonderful Peanuts ice show, called Blockbuster Beagle. I was reminded immediately of the fantastic Christmas ice shows once held annually at the Redwood Empire Ice Skating Arena, in Santa Rosa, California. Redwood Empire, a lovely, Swiss Chalet-style skating rink, was a gift to the Santa Rosa community from Charles M. Schulz, who’d been distressed over the closure of the city’s only other ice rink. The opening gala, on April 28, 1969, starred 1968 Olympic Gold Medalist Peggy Fleming, with music provided by the Vince Guaraldi Trio. Schulz’s beloved Christmas ice shows didn’t begin immediately; indeed, the venue catered mostly to local families and hockey teams for the first decade. Starting in 1979, Redwood Empire’s schedule began to feature professional ice shows, presented in the summer and autumn. The first, in July 1979, honored the rink’s 10th anniversary. That show, called Ice Decade, also starred Fleming, in keeping with the earlier opening day celebration. 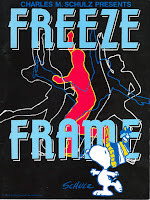 For the next several years, such professional productions alternated with spring ice shows provided by the Santa Rosa Figure Skating Club; the first of these was presented in 1980, followed by others in ’82 and ’84. In July 1981, Love Is Here starred British competitive figure skater Robin Cousins, a 1980 Olympic Gold Medalist and 1980 European champion. July 1983’s show, Perhaps Love, also starred Cousins. 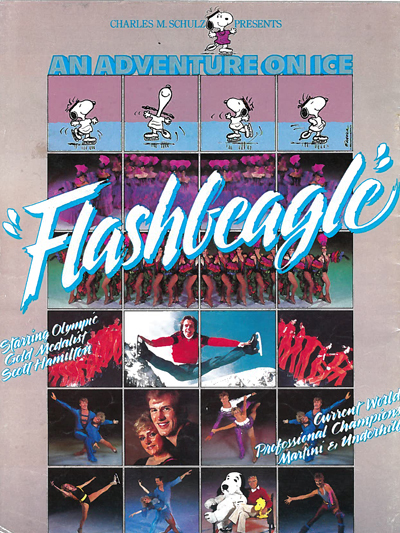 Flashbeagle, in July 1985, featured American figure skater Scott Hamilton, a 1984 Olympic Gold Medalist, and winner of four consecutive World Championships. The following year, 1986, marked the debut of the beloved Christmas shows. Schulz truly loved producing all of Redwood Empire’s shows. 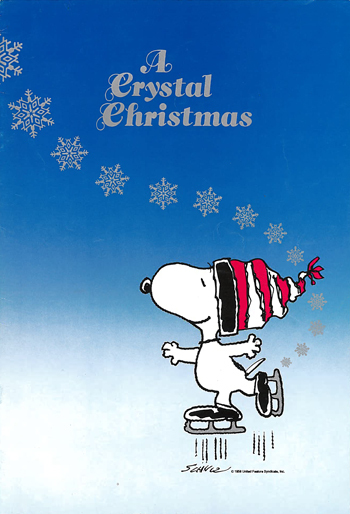 As he noted, in a quote supplied by The Charles M. Schulz Museum, “The thing I enjoy most of all, even more than drawing cartoons, is putting together an ice show… I think that is the ultimate in happiness.” He produced all the ice shows until he died in February 2000. His daughter, Jill Schulz, took over for the final four ice shows, from 2000-03. All the Christmas shows featured beautiful costumes, fantastic sets and very impressive choreography and skating. Many of the day’s top skaters were special guests, including Dorothy Hamill, Scott Hamilton, Toller Cranston, Robin Cousins, Charlie Tickner and Richard Dwyer (aka Mr. Debonair). 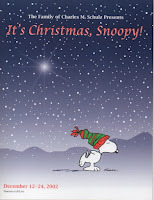 The biggest star of all, of course, was Snoopy: He always appeared in several numbers each year. 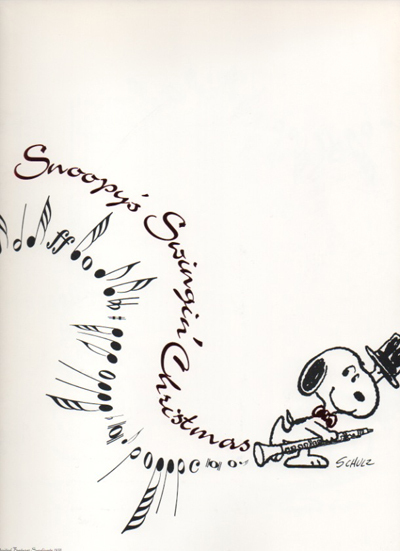 Judy Sladky, a five-time U.S. National Champion ice dancer, is the performer behind (or within) Snoopy. Dwyer also was in many of the shows. After winning Novice and Junior National Championships, he signed on with the Ice Follies at age 14, in 1950. He’s most famous for portraying “Mr. Debonair,” skating alongside six beautiful women, all dressed in glamorous gowns. Dwyer always would give a dozen red roses to a lucky “grandmotherly type” lady sitting in a front row seat. Two of Schulz’s daughters, Amy and Jill, performed in some of the Redwood Empire shows. Amy skated in the earlier 1980s shows; Jill skated in some of those early shows and also in quite a few of the holiday productions (by which point she was a Gold Medal figure skater). She later introduced in-line skating to the seasonal productions. The incredible costumes for all of the Redwood Empire Christmas shows were designed by Jennifer Lageberg. Thanks to her own background as an ice skater, she had an amazing understanding of costumes. She designed, on average, 200 costumes for each show. 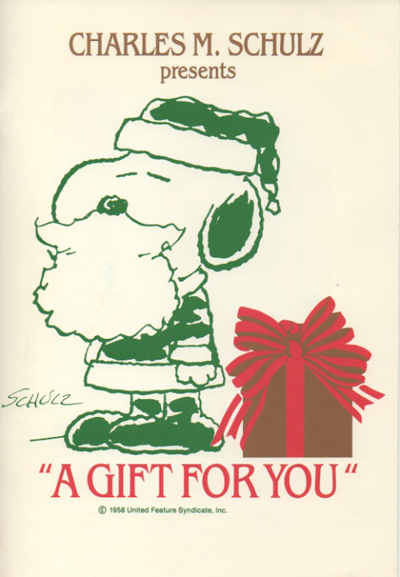 That first Christmas show — which ran Dec. 19-28, 1986, and was called Snoopy’s Wonderful Magical Christmas — starred Scott Hamilton; Paul Heath, British National Men’s Figure Skating Champion; Kresge (an Ice Follies star at that point); and Jill Schulz. The show was a major hit, and for the next several years — until word began to spread — the annual productions were an “open secret” among Santa Rosa’s citizens. As publicity generated additional interest, the schedules expanded — often including two shows per day — to accommodate a growing number of fans. • Dec. 12-30, 1991: A Gift for You, starring Dorothy Hamill and Robin Cousins. • Dec. 19-28, 1992: A Christmas Portrait, starring Robin Cousins; Toller Cranston, a Canadian National Champion and Olympic Bronze Medalist; Cindy Stuart, an original members of the American Theater Company; and Terry Pagano and Tony Paul, World Professional Pair Silver Medalists. 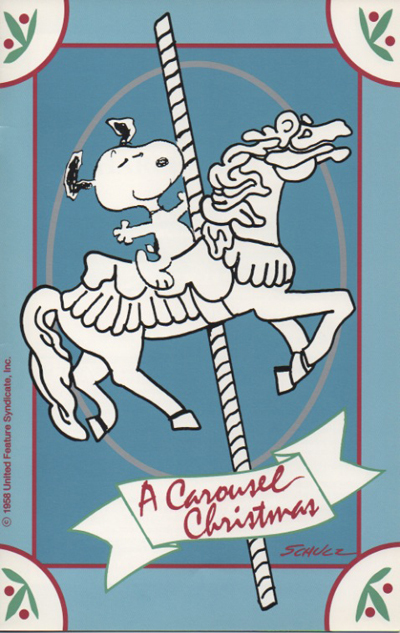 • Dec. 9-30, 1993: A Carousel Christmas, starring Charlie Tickner, an Olympic Bronze Medalist and World Champion; Ice Capades superstars Richard Dwyer and The Beattys; and Cindy Stuart. 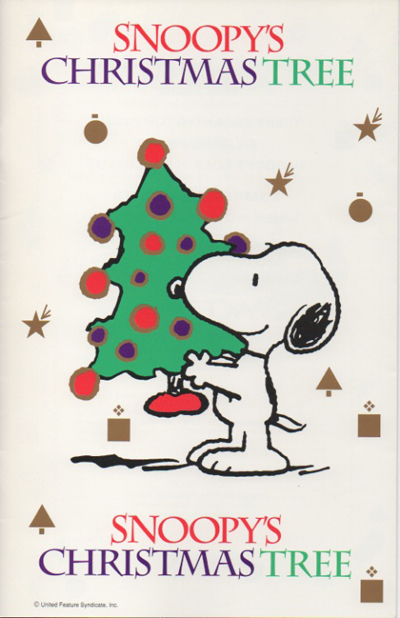 • Dec. 8-30, 1994: Snoopy’s Christmas Tree, starring Robert Wagenhoffer, a World Professional and U.S. Open Champion; Terry Pagano and Tony Paul; Richard Dwyer and Cindy Stuart. • Dec. 7-30, 1995: Christmas Magic, starring Terry Pagano and Tony Paul, Richard Dwyer and Cindy Stuart. 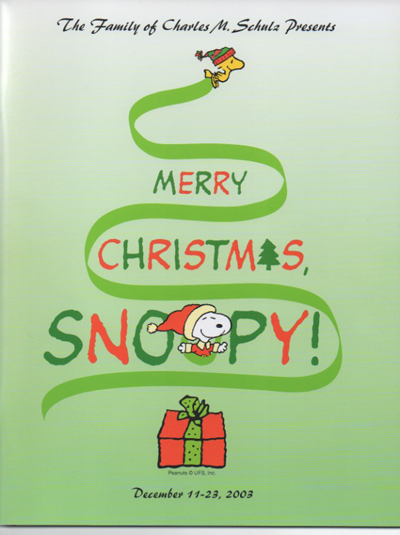 • Dec. 5-29, 1996: Snoopy’s Swingin’ Christmas, starring Scott Williams, a U.S. Open Championship and World Professional Champion; Ellicia Shepherd-Wilkes and Art Kramer, stars of Paramount’s Great America Ice Revue; and Cindy Stuart and Richard Dwyer. • Dec. 5-28, 1997: A Cool Christmas, starring Lisa Marie Allen, a 1975 United States Junior Champion and 1997 American Ladies Open Champion; Anita Hartshorn and Frank Sweiding, World Professional Champions and U.S. Professional Gold Medalists; and Cindy Stuart and Richard Dwyer. • Dec. 4-29, 1998: ’Tis the Season, starring Christine and Dion Beleznay, 1998 American Open Silver Medalists, and stars of Walt Disney’s World on Ice; Jeri Campbell, U.S. Open Challenge Cup Champion, and star of Walt Disney’s World on Ice; Doug Mattis, American Open Champion and U.S. Open Professional Champion; and Richard Dwyer and Cindy Stuart. • Dec. 2-28, 1999: A Christmas Celebration, starring Anita Hartshorn and Frank Sweiding; Aren Neilsen, National Senior Competitor and U.S. World Team member; Simone Grigorescu, a Junior Ladies Champion and 1985 World Professional Champion; and Richard Dwyer. 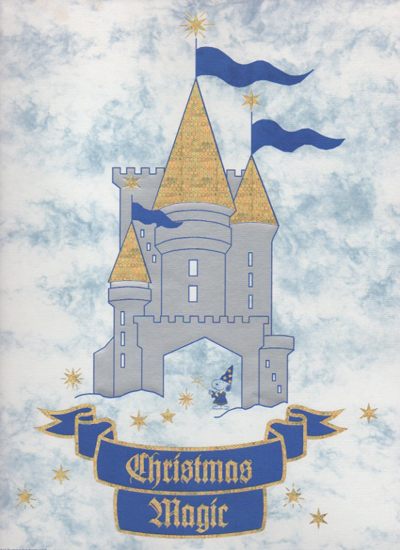 • Dec. 8-23, 2000: It’s Christmas Again, starring Charlie Tickner, Anita Hartshorn and Frank Sweiding, Cindy Stuart and Richard Dwyer. 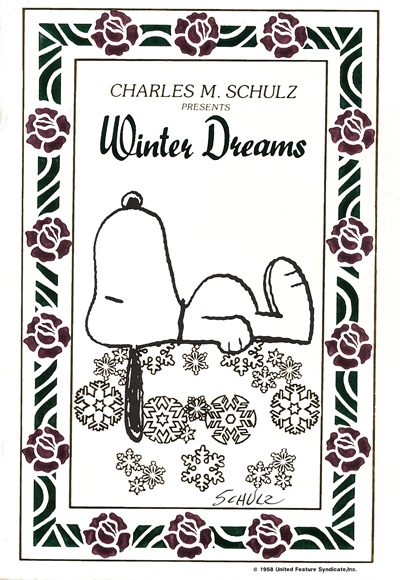 • Dec. 7-23, 2001: It’s All About Christmas, Snoopy, starring Rory Flack Burghart, an American Open Pro Skating Champion; Eric Millot, a French National Champion; Rosanna Tovi, a U.S. National Medalist and International Champion; and Andrei Bannikov, a Russian National Medalist. 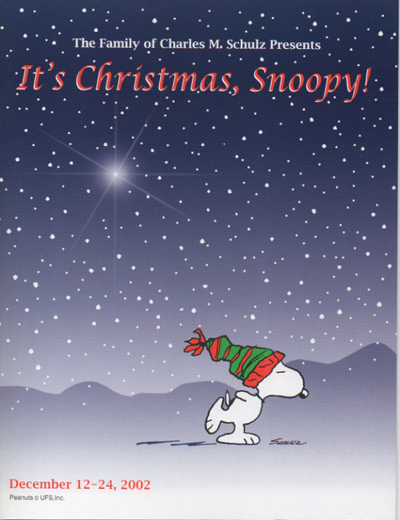 • Dec. 12-24, 2002: It’s Christmas, Snoopy, starring Eric Millot; Tony Paul and Terry Pagano; and Russian “spinning cube performer” Aydar Rakhmatullin. 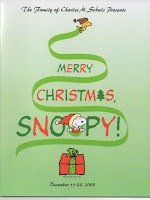 • Dec. 11-23, 2003: Merry Christmas Snoopy, starring Eric Millot; Matthew Evers, a 1998 U.S. Junior Pairs Champion and member of the U.S. International Team; and Ellicia Shepherd, a U.S. Figure Skating Team Singles and Pair Gold Medalist. Knott’s Berry Farm opened Camp Snoopy, the six-acre, Peanuts-themed children’s section of the amusement park, in 1983. Among other attractions, it features the 2,000-seat Charles M. Schulz Theater, which opened in July 2000. This section of the park was refurbished in 2013; after months of work, it reopened with new rides — and lots of smiles — in June 2014. 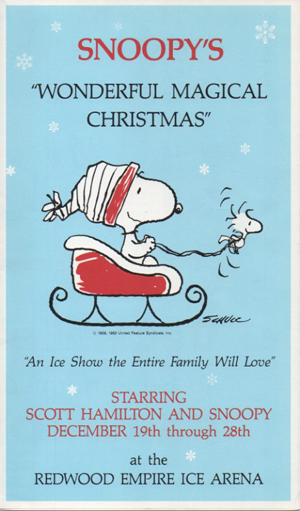 Concurrent with the final few holiday ice shows at the Redwood Empire Ice Arena, similar Peanuts character ice shows also began running in the Knott’s theater. 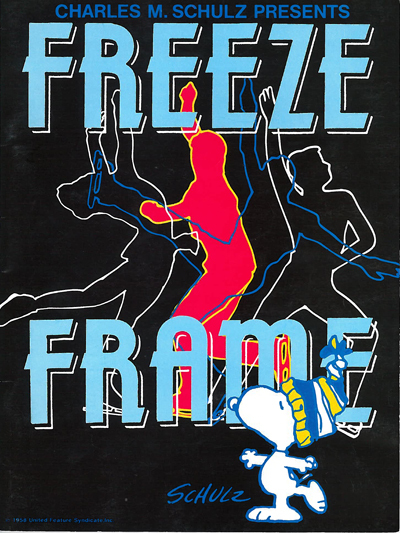 Kresge — on behalf of Woodstock Ice Productions, owned and run by Charles M. Schulz’s daughter, Jill — has created, directed and choreographed Knott’s summer and holiday ice shows since 2000. Check out this informative December 2017 article from the Orange County Register. Will there be future shows? Wishing to take the grandchildren! Not as far as we here at FiveCentsPlease know. The final Christmas ice show was in 2003, alas.